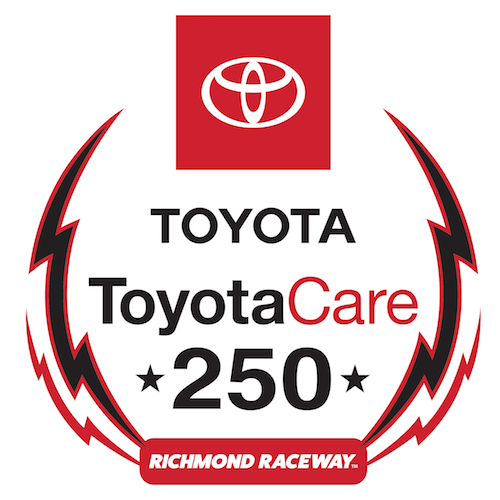 The NASCAR Xfinity Series will go short-track racing for the second-straight weekend, this time at night Friday with the running of the ToyotaCare 250 at Richmond (Va.) Raceway. Friday night’s race also will be the second race in the four-race Dash 4 Cash program. Christopher Bell, Tyler Reddick, Cole Custer and Chase Briscoe will be the four drivers going for the $100,000 D4C bonus at Richmond after Bell took the first bonus of the year last weekend at Bristol (Tenn.) Motor Speedway. Bell also will be going for a second-straight win as last weekend’s race winner at Bristol and a third-straight Richmond win as the winner of both Xfinity Series races there last year. 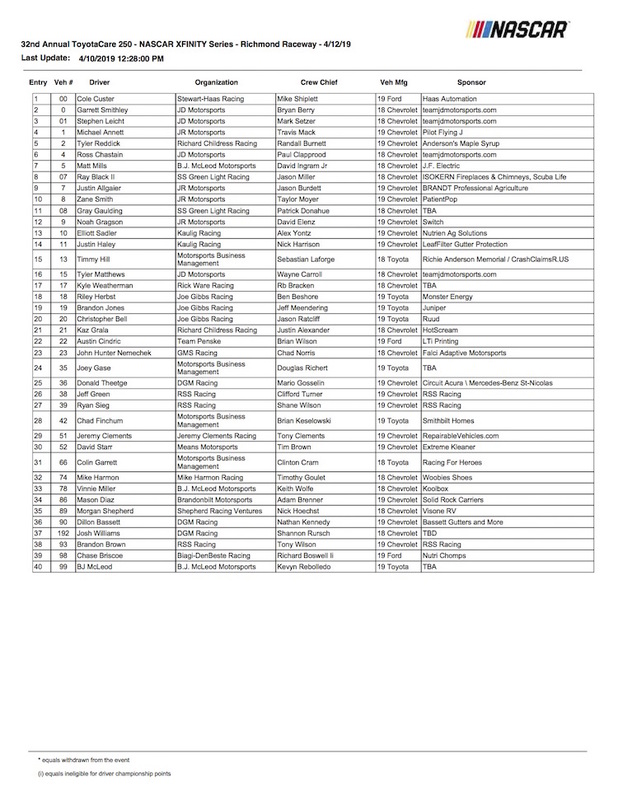 Forty drivers are on the entry list for Friday night’s race. Among the entrants is Elliott Sadler, who, after retiring from full-time competition at the end of the 2018 season, returns to drive the No. 10 Kaulig Racing entry at his home track. Qualifying is scheduled for 3:40 p.m. ET Friday, with the race to follow with an approximate 7 p.m. green flag. Both will be shown live on FOX Sports 1.